The course will provide advanced knowledge, improve capacity building and raise awareness on the following: biology and ecology of X. fastidiosa and its vectors; epidemiology of the diseases it causes; status of the current situation in Europe and worldwide; new approaches to investigate host-pathogen-vector interactions; recent developments in sustainable disease management and legislative measures. 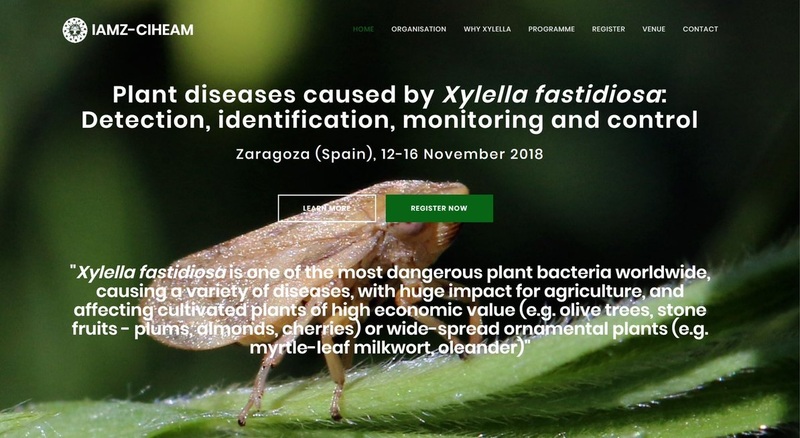 The course is targeted at professionals from plant protection services or competent authorities in plant health certification and inspection, technical advisors and experts from R&D institutions involved or concerned in the development and implementation of prevention and management plans against Xylella fastidiosa and its vectors. Participation will also be open to candidates with the same professional background that wish only to attend all or part of the lectures (excluding practical work sessions).